The American meat industry is need of a serious overhaul; between the animals on drugs, awful living conditions, and salmonella outbreaks. Luckily, there are many forward thinking pioneers who are working on solutions. A new documentary, American Meat, looks at the system through the eyes of farmers and offers ideas for a more sustainable future. 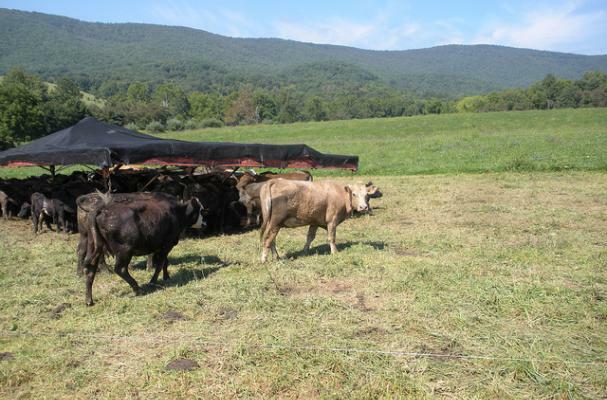 Joel Salatin of Polyface farms has taken the lead for this grass-fed revolution, and he and his fellow farmers have a chance to really change a very broken system. AMERICAN MEAT TRAILER from Leave It Better on Vimeo. Still won't make me eat meat lol but yeah the system is seriously broken and horrible.